AKIPRESS.COM - Two British tourists are among seven people injured in a stabbing in Paris, according to local media, Metro reports. A man armed with a knife and an iron bar is said to have attacked people on the banks of a canal in the north of the French capital at just after 11pm last night. Four people were injured seriously in the attack. Le Parisien reports that one British tourist has a chest injury while another was stabbed in the head. 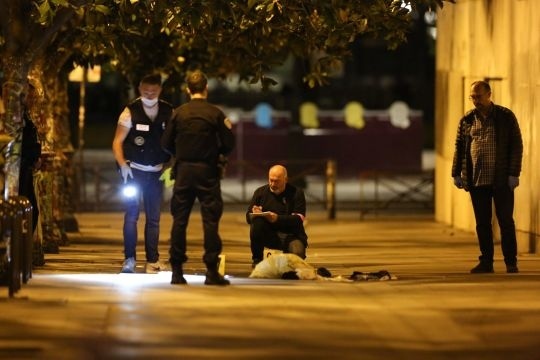 The paper said the attacker – reportedly an Afghan national – stabbed three people near a cinema on the Bassin de la Villette. Men playing the French game of petanque nearby attempted to stop the man, with one throwing a ball at him, according to reports. A security guard at one of two cinemas on either side of the Canal de l’Ourcq said he saw a man who had already assaulted people being chased by two other men who tried to stop him. ‘He had an iron bar in his hand which he threw at the men chasing him, then he took out a knife,’ he told AFP. A man has been arrested and the incident is not being treated as terrorism, police said. The Foreign Office said: ‘We are urgently investigating this incident and are in close contact with the French authorities.’ The victims were all rushed to local hospitals, where their conditions were described as ‘serious but not life threatening’. The attacker is not thought to have been badly injured by officers.